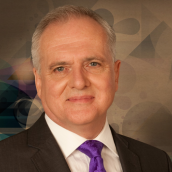 Stephen Parry is an internationally recognised authority and strategist in the creation of Adaptive, Learning, Lean Enterprises. He has applied ‘Lean’ principles to the design and operation of corporations in Europe, Asia-Pacific and the USA. 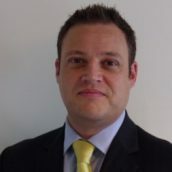 He is co-founder of Lloyd Parry, a Sense and Respond strategy, structure, leadership and change consultancy providing services to several FTSE 100 companies. He is the principle author of Sense and Respond: The Journey to Customer Purpose, published in 2005, which outlines a new operating model for organisations based on the principles of the Adaptive Lean movement. How can you be sure you’re making the best possible management decisions? Even when there is time, information is coming from so many sources it can be difficult to know what is “noise” and what requires your attention. In such data-rich circumstances, you need a better way of thinking — a structured problem solving mindset for you and your staff. In this Workshop, we will teach you and your team how to use A3 thinking to make sure you get, interpret, and act on the right information so you can innovate and solve problems. Attendees will learn the theory behind the A3 Thinking process and practice techniques and methods so you can use them immediately when returning to work. Attendees should each bring with them a live “problem topic” from their workplace that they would like to address. These topics will be used during the course of the two days for the attendees to work on and apply A3 Thinking to the topic. Attendees will also learn the principles of A3 Coaching and the roles of the A3 Student and A3 Coach. Any manager who wishes to understand A3 Thinking, or develop their ability to think critically, communicate well, and enable collaborative approaches to problem solving and improvement.